Why to choose us as your local Kingston electrician? If you're looking for a qualified electrician in Kingston then look no further, dkp Electrics are a company of highly professional electricians who can carry out work in any area of Kingston, including Kingston upon Thames and Twickenham. At dkp Electrics we offer a huge range of services covering all aspects of electrical work. We are an NICEIC approved electrical company and for us, no job is too big or too small when it comes to electrics. 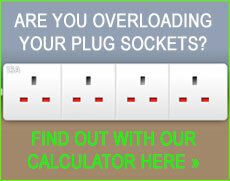 From fault finding to rewiring, whatever you need, we'll get it fixed. We have a highly experienced team of electricians, awarded with all of the necessary certificates of qualification, who will carry out all electrical work to the highest standard of quality and in compliance with the latest wiring regulations. We can work with everything from internet sockets and audio sound equipment through to replacing your old fuse box, adding new circuits and even garden power and wireless lighting which are becoming more and more popular. Kingston, in South West London is a very up market part of London where many residents will only settle for the best electricians around. Also, due to the fine quality and extreme specifications involved when carrying out work on many of its riverside mansions, we've taken our expertise to the highest level on many occasions. dkp Electrics have an expert team of electricians in Kingston who specialize in the more detailed and complicated projects that can arise. Tasks such as laying underfloor heating and in many cases installing CCTV, which can be accessed via the internet from your computer or smart phone, are all jobs that need completing from start to finish to the highest standard at all times. If you've got any electrical faults that you need fixing or anything you're concerned about then now is the time to act on this. If you ignore any electrical issues, even minor ones, they could escalate into much bigger problems in the future and nobody wants this. Another service we are proud to offer at dkp Electrics is our energy saving services. If you are in need of help or advice on the many ways you can reduce your energy bills or if you are interested in having solar panels fitted onto your roof, then our highly skilled experts will be able to assist you with any queries you may have in relation to these specialist services. With energy prices set to keep on fluctuating, energy saving is one service we would highly recommend. And so you can relax from now on, we offer a 24 hour emergency call out service for any electrical faults and can have a qualified electrician on your door step in no time at all in Kingston, Twickenham and many other areas of South West London.